We offer quality Entrance Mats to our customers. 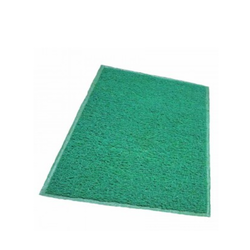 These mats are manufactured using high-grade raw material and advanced machines at vendor's base. We offer these mats in different sizes and other specifications to meet the diverse requirements of our customers.These mats are available at industry leading prices to our customers. We offer a broad range of Cushion Mats in different sizes. Made from approved quality vinyl, these mats are durable and preferred for their flexibility and longevity. These mats are customized according to our customers requirements. Customers can avail them at most reasonable prices.Cushion mats are ideal for use at the entrance doors.